Streamline your wood crafting sessions now with this amazing new tool! Are you fond of wood sculptures but have a bit of a problem maneuvering around curved angles? 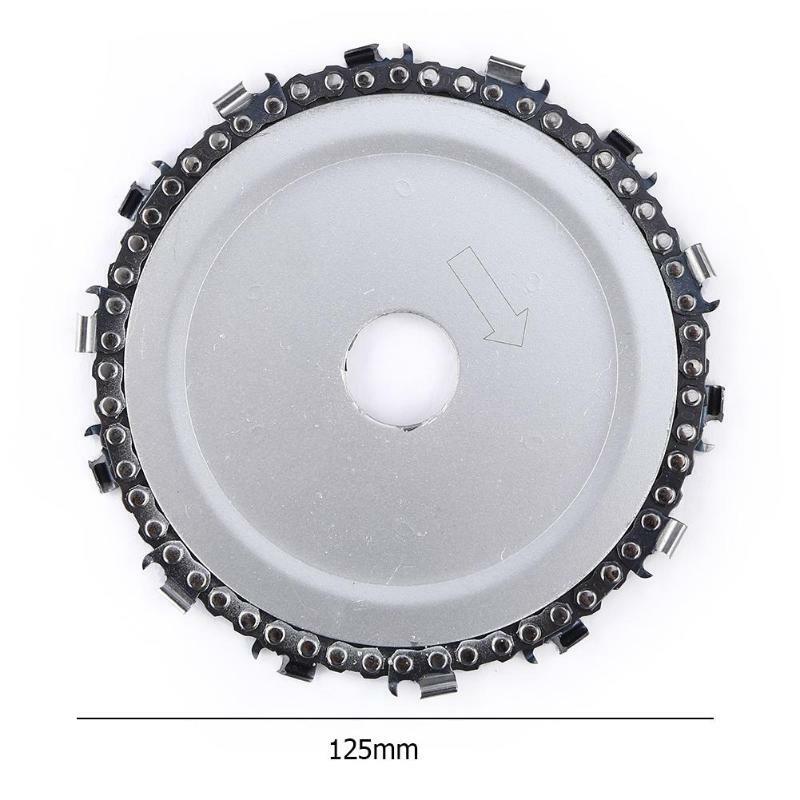 Look no further, here's your new go-to tool for woodworking projects, the Multi-Function Grinder Chain Disc. Whether you’re a carpenter or a sculptor, you’ll enjoy using this incredible disc. It is flanked by two steel plates, providing a secure grip. 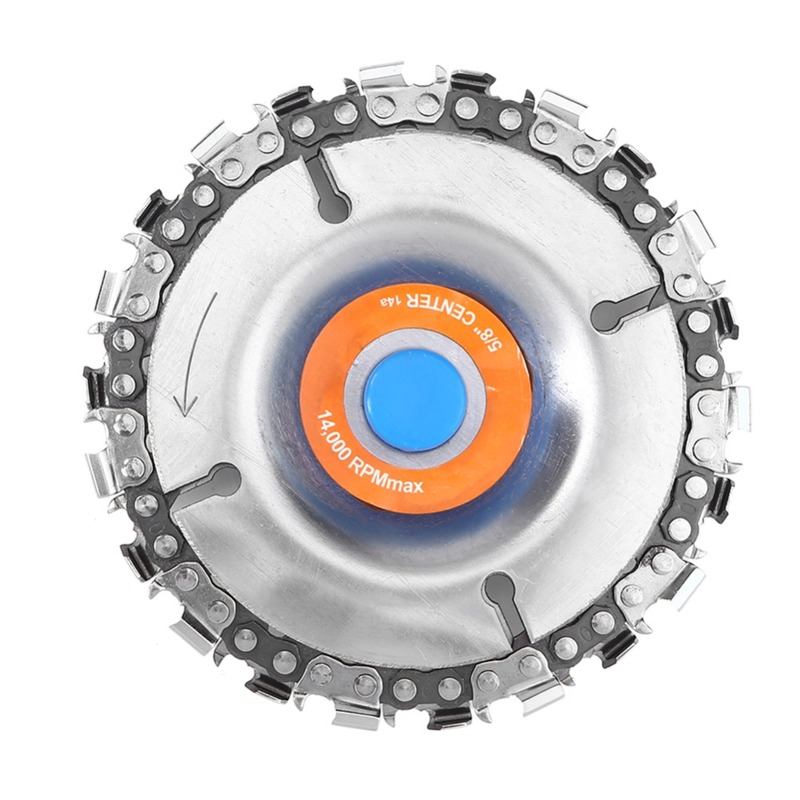 It's made of premium steel materials, more durable to use so it takes the muscle work out of cutting, carving, removing and sculpting wood, plastics, ice, and hard rubber with the added speed and maneuverability. Woodworking can be very cumbersome. 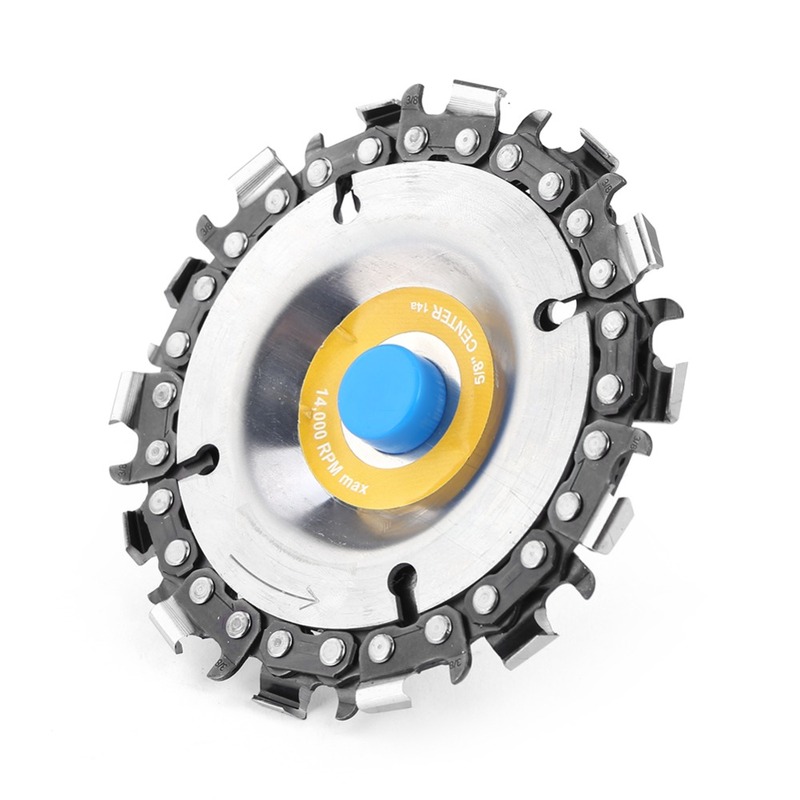 But thanks to the Multi-Function Grinder Chain Disc you’re about to love woodworking even more. Complete woodworking projects fast, safe, and easy. This tool lets you carve any wood hassle free. It's a chainsaw and wood grinder in one. 22 Tooth Design provides a smooth finished surface, which is great for minimal sand finishing. Works conveniently with 4 "(100mm) and 4 1/2"(115mm) angle grinders. Cuts through wood with ease regardless of grain or knots. Can be used in any direction and features an anti-kickback action. Gives perfect control when carving any type of wood. 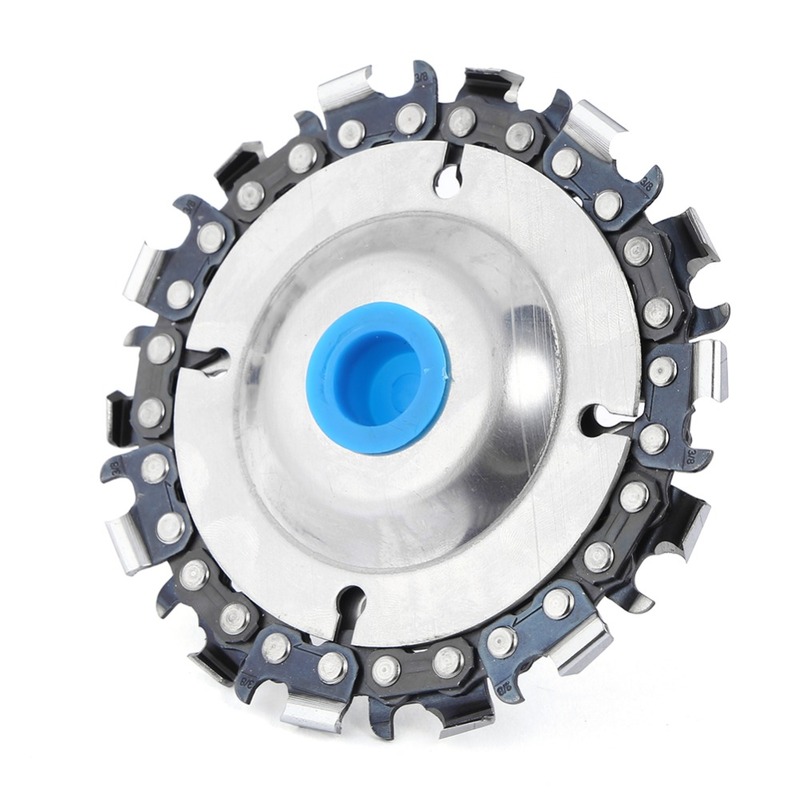 Also works for cutting, carving, removing and sculpting of plastics, ice, and hard rubber. Can be sharpened with a chain saw file or replaced as needed. Great for wood sculpting, molding, crafts, and more.